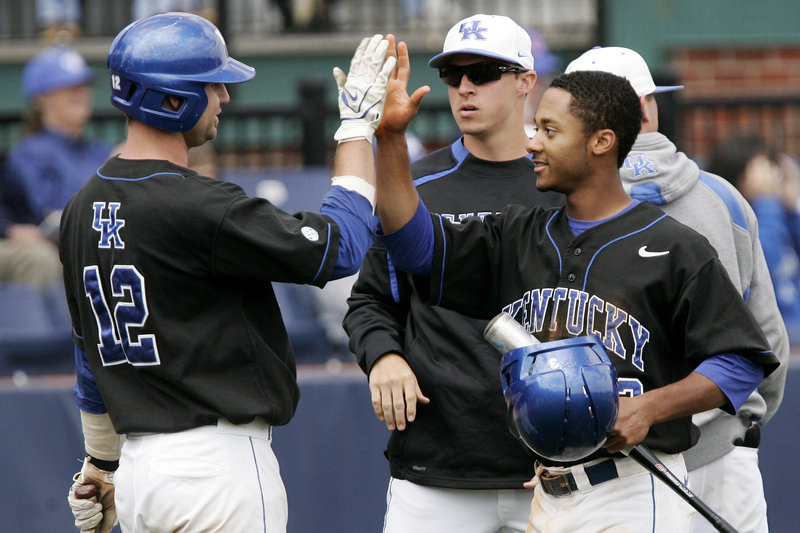 The University of Kentucky announced before Wednesday’s game that redshirt senior outfielder and second baseman Neiko Johnson will miss four to six weeks with a broken finger. Johnson injured the finger in Tuesday’s game versus Morehead St. while sliding into second base. Todd Zolecki of MLB.com reports while the Cardinals may be in the market for a new staring pitcher, Phillies GM Ruben Amaro Jr. reaffirmed his previous position that former UK right-handed pitcher Joe Blanton will be with the Phillies to begin the season and start on April 7. In its latest NCAA tournament projections College Baseball Daily has the University of Louisville as a No. 1 seed and no other Kentucky teams in the field. Durrett notes the Rangers’ plan is for Webb to have two more days of strenuous long-toss on Thursday and Friday with a slight break on Saturday. Detroit Tigers manager Jim Leyland told Dana Wakiji of Fox Sports Detroit that former UK first baseman Ryan Strieby stands to earn more playing time at first base early in Spring Training while Tigers all-star Miguel Cabrera is on leave following a DUI arrest.